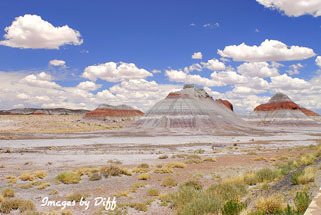 click photo to enlarge The last time we were in the Petrified National Forest was 2003 and we just drove though on our way some place else. So this time I wanted to stay as close as you can which is still 30 minutes away. The goal was to be able take some picture before they closed and right after they opened. 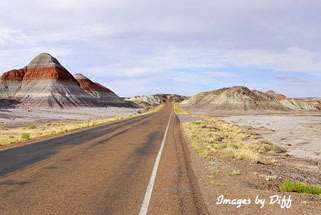 There are some very dramatic colors that get washed out in the mid day son. The picture at the left is an hour or so before sunset. 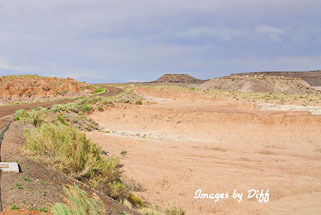 The park closed before sunset. click photo to enlarge This one was the next day and the Arizona monsoon clouds were building. 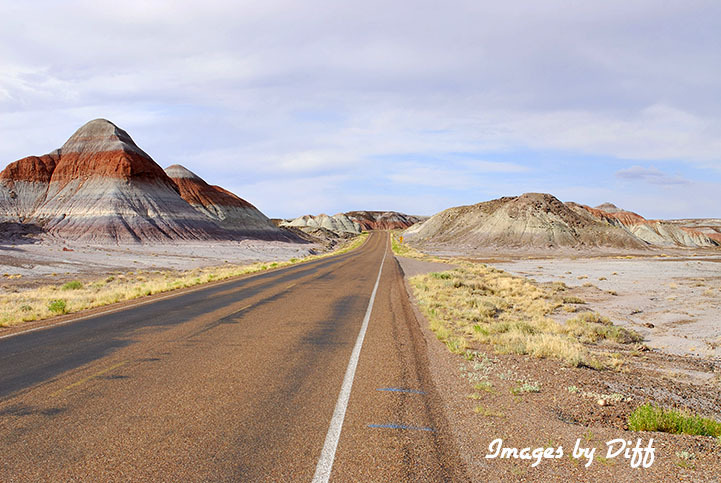 The petrified forest was set aside as a national monument in 1906. 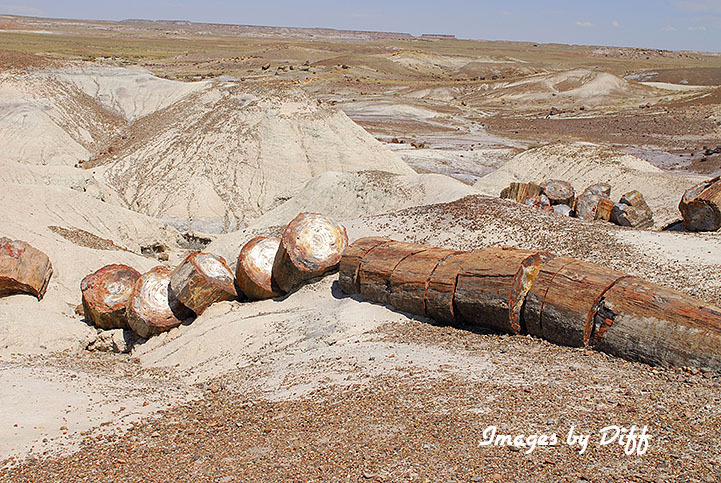 Today they can search your vehicle if they think you may have picked up some petrified wood. 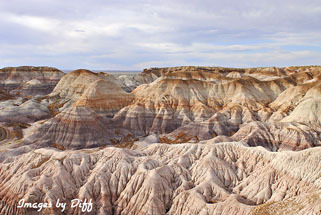 The colors on the badlands are really pretty crazy. 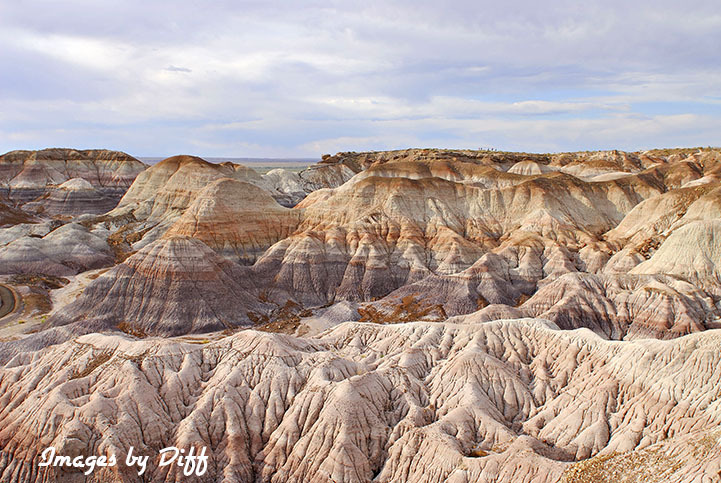 Different layers of rock are different colors. 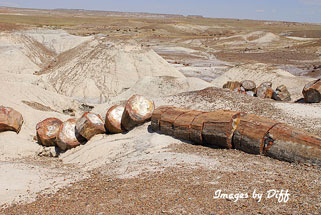 click photo to enlarge The petrified logs can look like they were sawed this way but they aren't. The material just fractures this way under it's own weight. We were there in July and it does get hot during the middle of the day. We stayed in St. John's about 40 miles away.